Hope Hall School was featured in a Democrat & Chronicle news article on Wednesday, April 18, 2018 for our participation in the A Community Thrives 2018 online campaign! Thanks to our wonderful supporters, Hope Hall has exceeded our $6,000 fundraising goal for this campaign! 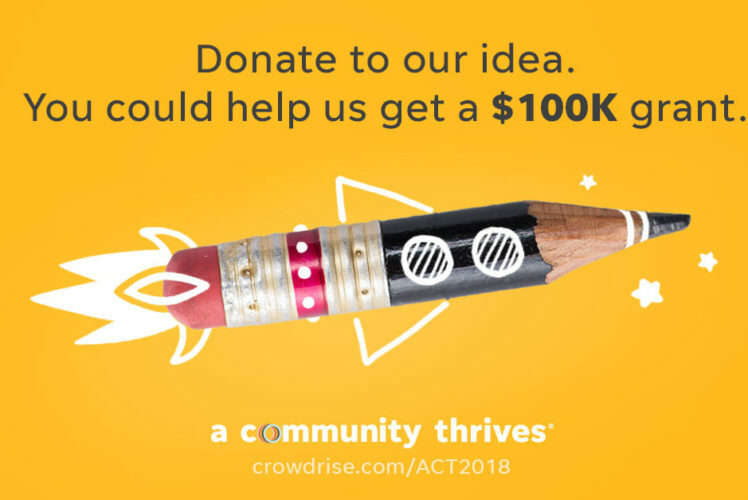 Your contributions will allow us to be better positioned for a guaranteed fan favorite grant award of $25,000 and/or up to $100,000 in grant funds from the Gannett Foundation for our Career Development and Occupational Studies (CDOS) program, which helps our students build the hard and soft skills they need to be job market ready by the time they graduate from high school. 1. Join our fundraising team and create your own fundraiser for Hope Hall. 2. Make a donation of $10 or more online. 3. Share this post and/or share our CrowdRise fundraising page on social media, like Facebook & Twitter! Hope Hall’s extended deadline for online donations is Friday, May 11th by 11:59am. Get involved now by clicking the link below! Please note that *ONLY ONLINE DONATIONS* made using our A Community Thrives Campaign link below will count toward our fundraising total and our grant award eligibility. We are sorry for any inconvenience this may cause. Thank you for helping our Hope Hall Community Thrive! Hope Hall May 2018 Newsletter Now Available!